I took one nutrition class in university and I had the opportunity to do a research paper about garlic. 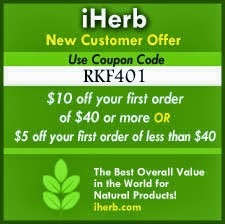 This humble herb has been used since the ancient times not only in cooking, but as a traditional healing remedy. Garlic is anti-inflammatory, anti-bacterial, anti-viral, and anti-fungal which can heal, cleanse, expel metals and toxins, kill yeast and parasites, lower cholesterol and blood pressure, fight off the cough, cold and flu virus, warm the body, and increase circulation. To get the most healing benefits from garlic, it is best eaten raw. Garlic contains alliin which becomes allicin when crushed or minced. 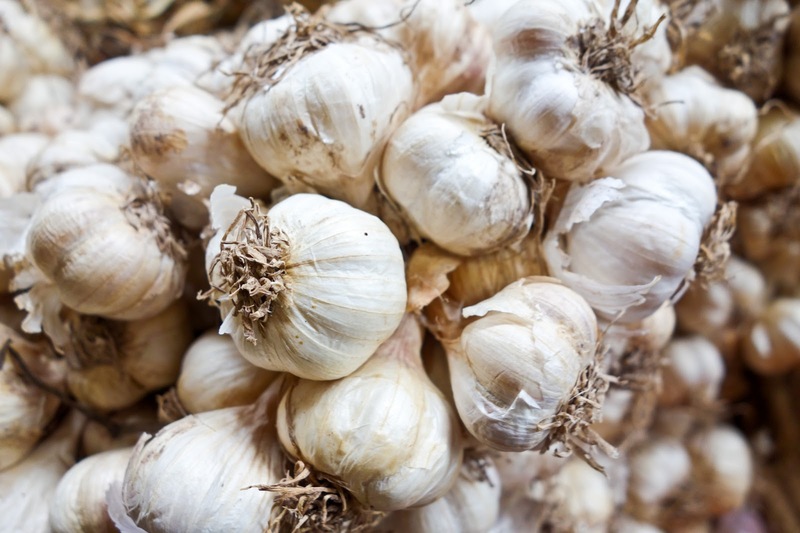 Allicin is a powerful antibiotic that gives garlic its antibacterial, antibiotic, and anti-fungal properties. It also contains sulphur compounds which adds to garlic's healing power, B and C vitamins, antioxidants flavanoids, and trace minerals selenium and germanium. These components in garlic are sensitive to heat and so much of the benefits will be lost if the garlic is cooked. But don't let it stop you from eating garlic because anything with garlic tastes delicious! On a side note, wait at least 15 minutes after chopping the garlic before you eat or cook with it to allow the allicin compound to form. You can store garlic on the counter or in the fridge. If you have a lot of garlic on hand and you don't know what to do with them, try freezing them. It's a bit of work upfront, but the convenience of having frozen fresh garlic is well worth the effort. To freeze garlic, put clean peeled garlic in a food processor, add olive oil just enough so it will blend nicely. The oil helps to preserve the flavor and texture. Make dollops of minced garlic to usable portions, lay it out on a parchment paper, and put it in the freezer. After the garlic freezes, you can transfer them into a ziploc bag. There is hardly any side effects on consuming garlic other than smelling like garlic. If you really can't take raw garlic, there are garlic capsules that you can purchase. Just make sure you buy high quality ones from reputable brands. Garlic oil: I've read that a few drops of garlic oil in both ears can help ear infection. Garlic poultice (crushed raw garlic): Put directly on the skin where you need to heal, e.g. insect/bug bites or wounds, and cover with bandage. It gets absorbed in to the skin and enters the blood and lymph system. Garlic water: Add chopped garlic in warm water and soak your feet in to draw out toxins and helps to treat mail issues and fungal infections such as athletes foot. What is your favorite way to eat raw garlic? Have you used garlic for healing purposes?